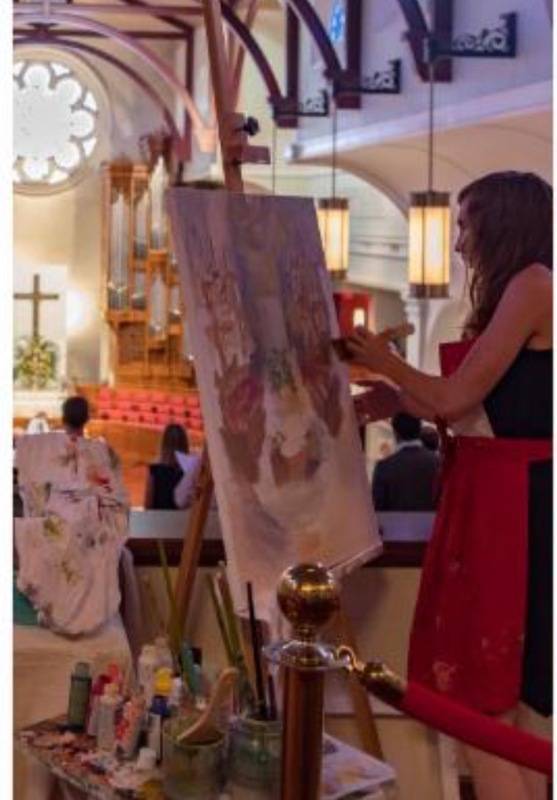 Or painting live. Just like it sounds. A custom painting completed within about 6 hours of your event (2 hours beforehand + 4 hours during). 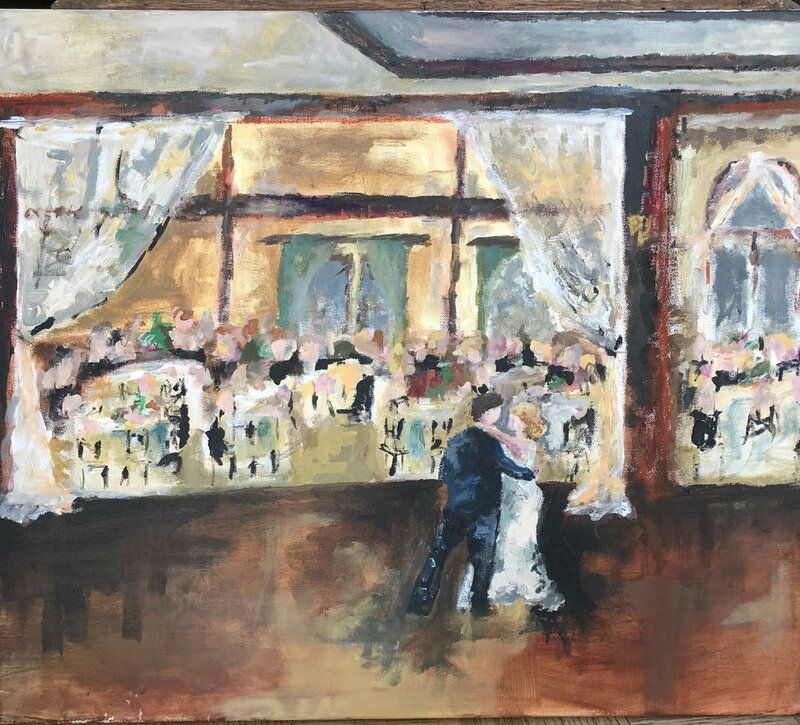 Most couples decide on having the ceremony, first dance, or (my favorite) the overall scene captured on a choice of 4 different canvas sizes. My style is loose, colorful, and abstract, wanting to create a piece of art that will remain a focal point in the lifetime ahead - no matter how your decor may change.